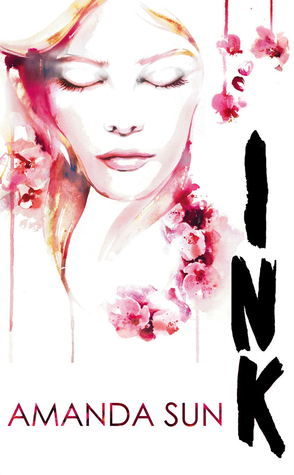 Today I have a Q&A with Author Amanda Sun as part of her blog tour for the release of Ink, the first in her Japanese contemporary fantasy trilogy, The Paper Gods. If you want to read my review of the book please click here. Drawings sometimes come to life in Ink when Katie and Tomohiro are in close proximity to one another. What one piece of artwork would you most like to see come to life it it were possible? If Katie and Tomohiro could only describe each other using colours, what three colours might they say most suit the other person? Interesting! Tomohiro would be dark blue, black, and plum. I guess he’d look like the cover of SHADOW. Those colours come up a lot when the ink is coming to life. They’re beautiful colours, but a little ominous. Katie would be pink for the more gentle side of her, red for her defiant streak, and yellow for optimism. Even though she’s been through a lot in SHADOW and INK, I feel like she’s always trying to reach for more in life, so I see her as someone who doesn’t give up. What has been your favourite YA book this year? There are two books I’ve read this year that blew me away. The first is BELLE EPOQUE by Elizabeth Ross. Wow, what a stunning debut! I don’t read a lot of YA Historical, but now I’m asking myself why the heck not. It’s set in Paris during the building of the Eiffel Tower, and it’s just seamless in its authenticity and pacing. The other amazing read I just finished is GOLDEN BOY by Tara Sullivan. It’s a YA Contemporary set in Tanzania, and follows Habo, an albino who has to run for his life because witch doctors want to kill him for luck medicine. It really brought to light a human rights issue that many of us don’t even know is going on right now. Tara really did her research, and Tanzania just leaps off the page. I guess I’m on a YA–in-other-countries kick! Haha. I also just got the ARC for Eve Silver’s RUSH today, and I can’t wait. Kendo, aliens, and video games? Sign me up! You sound very equipped to be writing a series based in Japan. You even lived in Osaka and studied Asian History! Did you even need to do extensive research or cross-checking? How so? Oh, thank you! Creating an accurate portrayal of Japan was so important to me. I really wanted to be as authentic and respectful as possible, and I hope that comes across in INK. I visited Shizuoka again while writing INK, taking a ton of photos of every location in the book. I’m also lucky to have a friend who went to school near Sunpu Park. She helps fill in the little details I’m not sure about, like what the school bell sounds like, how many classes in a day, and what’s popular in Japanese slang right now. How did you go about writing the prequel novella (Shadow) to Ink? Was it challenging considering that you did not want to tell too much or too little? It was SO challenging! It was like writing with a hand tied behind my back. I kept spilling details from INK, but luckily we caught them all in revision. And I didn’t want there to be too much eye-waggling and mystery foreshadowing or you’d all get frustrated with me 😉 So it was a fine balance to maintain. On the other hand, it was a really interesting experience writing from Tomohiro’s point of view. Honestly, the nightmares he has and all those dark thoughts he has to push away frightened me. He’s stronger than I even realized to fight against them and want a normal life, and so I had even more respect for him after writing the novella. I really hope that you will enjoy INK! Whether it’s your first taste of Japan, or a return trip, I hope that it can be a mini-adventure for you and inspire you to experience more of this amazing country. I also hope you will find that we have more in common than we have that’s different, and that the journey Katie goes through can be related to your own experiences.